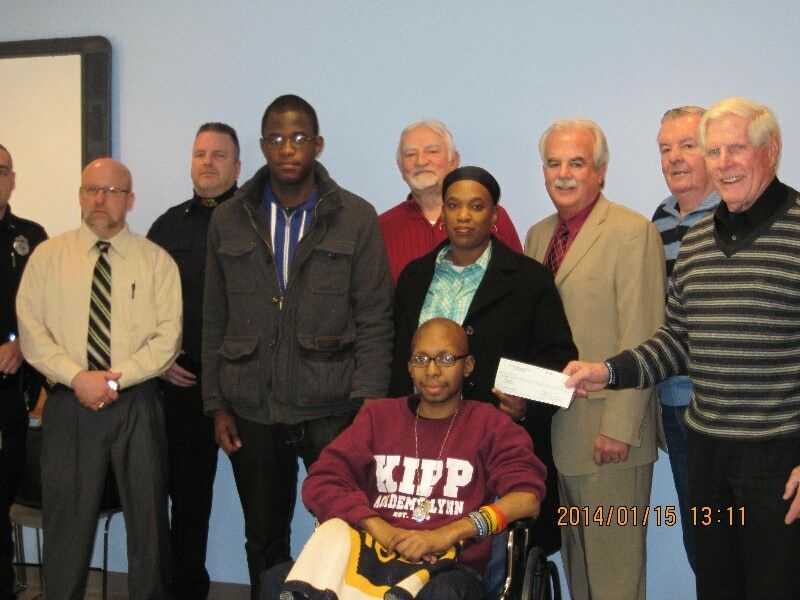 On Thursday, January 15, Cops For Kids With Cancer went to the Lynn Police Department and made a donation to the family of Rayquan Fregeau, an 18 year old boy from Lynn, who has relapsed Stage 4, metastatic paratesticular alveolar rhabdomyosarcoma. In photo left to right, Lieut. Richard Donnelly, Sgt. Robert Godbout, cousin Rayshann Haynes, John McManus,CFKWC, mother, Brenda Haynes, Chief Ken Coppinger, Bob Guiney, CFKWC and Bob Faherty.